Before I start, a small housekeeping matter: I’m very behind on fragrance reviews and covering new releases after my break, and I’m afraid I’ll never catch up if I write one of my typical, in-depth reviews for each scent. To facilitate my schedule and save some time, I’m going to write the shortest reviews that someone with my OCD can manage, and skip sharing official company fragrance descriptions, other people’s perspectives, or arduously looking up retail links all around the world. However, I’ll provide note lists, pricing information, and links to Fragrantica and a few shops at the end in case you wish to pursue things further. 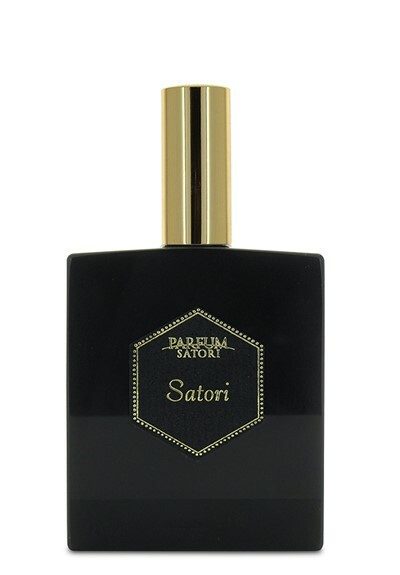 Parfum Satori’s Satori via Luckyscent. Luckyscent note list: Bergamot, coriander, cinnamon, clove, cacao, vanilla, frankincense, sandalwood, oak moss, agarwood (oud). Satori opens with an absolutely wonderful recreation of the scent of top-notch Earl Grey tea, thanks to a beautifully fragrant, aromatic bergamot that’s layered with an almost tea-like smoky blackness from the frankincense. A light dusting of equally fragrant, slightly lemony coriander lies on top, while a thin trickle of silky smooth vanillic sweetness runs through the base underneath. Satori shifts quite quickly. Roughly 15 minutes in, specks of a peppery oud and a ghostly suggestion of oakmoss join the party. Inch by inch, moment by moment, the woods grow in prominence until, suddenly, about 40 minutes in, Satori transforms into a soft, lightly spiced woody fragrance cocooned within a wonderful cloud of smoky “Earl Grey tea”/incense and fragrant coriander. The woods consist mostly of a clean, very peppery, Western style, synthetic (but not screechy) oud layered with clean, soft, minimally spiced beige sandalwood. Parts of it are very nice, but I don’t like the pepperiness or the slightly scratchy quality of one of the woods. However, the Earl Grey recreation or bergamot-incense accord is absolutely fantastic. 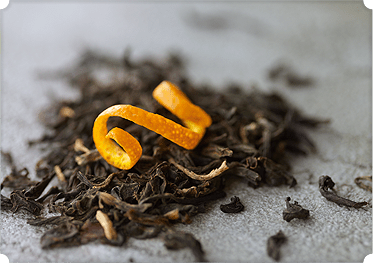 I’m not a tea drinker but, when I do indulge, it’s always Earl Grey and the sole reason why is that beautiful combination of fragrant bergamot and smoky black tea. In my experience, that particular Earl Grey-like aroma is uncommon in perfumery today because so many companies opt for a cheap grade of bergamot that smells either lemony, shrill, or both. Only a super expensive, top-grade bergamot has the smooth and immensely fragrant aroma found in good tea (or vintage Shalimar). And it’s here in abundance. Not only is it beautiful, but I love the originality of combining it with oud and sandalwood. There aren’t a lot of modern fragrances that I can think of off-hand which have a strong Earl Grey tea aroma to begin with, but I’ve never encountered an oud-sandalwood with it before. I’m absolutely certain of that. I don’t think the incense’s tea-like smokiness is purely a coincidence, judging by a great article on The Scent of Man. It not only covers Satori, but also describes a meeting with Ms. Osawa in Tokyo, her mastery of the traditional Japanese tea ceremony, Sadō, “the whole ritual of Kodō – an observance involves heating up rare pieces of aromatic timber, in particular agarwood,” and the influence of both these Japanese traditions in the creation of Satori. I’ll let you read the article on your own later, because it’s filled with fascinating historical and cultural details in addition to insights into Satori, its notes, and its character. Satori is pretty linear on my skin and doesn’t change much except in the prominence of certain notes. After 90 minutes, the fragrance turns simpler and fractionally drier. After 2 hours, the Earl Grey bergamot becomes a ghost that pops up only occasionally in the background. The drydown begins around the 4th hour and consists primarily of a clean but slightly peppery oud-sandalwood combination that is smudged lightly at the edges with incense smoke and heavily muted flickers of abstract spiciness. Once in a blue moon, the “Earl Grey” note reappears, but it’s rare. In Satori’s final moments, all that’s left is simple woodiness that has a nebulous sandalwood-ish vibe to it. Satori has soft projection, discreet sillage, and average longevity. Using several smears equal to roughly 2 small sprays from a bottle, the opening projection was about 2 inches while the sillage was around 3 inches, maybe 4 at best. Satori turns into a skin scent after 3 hours, although it’s easy to detect up close until the 4th hour. In total, it lasted just a bit over 7.75 hours. In its opening hours, Satori is a soft, smooth, but diaphanous bouquet that reminds me of a watercolour done in the most translucent of hues. The Japanese are not known for their love of heavy, dense, and powerful fragrances, nor scent trails that might be considered intrusive in someone else’s personal space. (See my post on Japanese and Chinese fragrance culture for more details.) So, it came as no surprise to me that Satori was a low projecting, discreet scent with gossamer lightness, body, and weight. What was a delightful surprise, however, was the clearly meticulous precision and care which have been taken to ensure that everything works together in harmony and that no single note stands out like a sore thumb. The spices are light, the smoke is light, the woods are clean; nothing is rancorous, and everything is “just so.” It’s as though Satori had been constructed like one of the Japan’s famous Zen gardens, with an emphasis on precision, balance, elegant purity, and seamless integration. It may not be my personal style of perfumery in its discreetness, but the scent is highly refined, tasteful, interesting, and, in my opinion, demonstrates a masterful technical ability. Relevant details/links: $175 or €179 for 50 ml EDP, Satori, Luckyscent, the NL’s Annindriya, Fragrantica, and The Scent of Man. 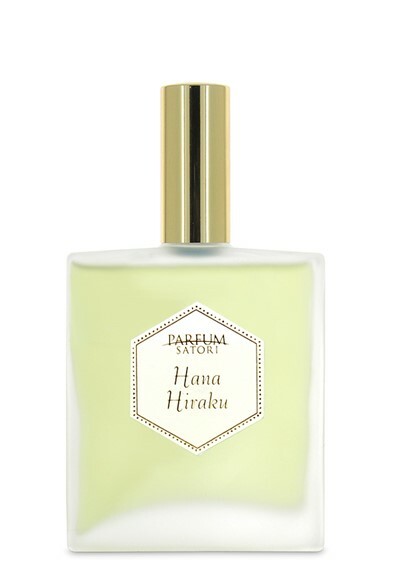 Satori Hana Hiraku via Luckyscent. Luckyscent note list: Melon, bergamot, galbanum, magnolia, iris, jasmine, tuberose, rose, ylang ylang, chamomile, miso [fermented bean paste], kogashi-shoyu [organic soy sauce], beeswax, sandalwood, cedarwood. Hana Hiraku opens with fresh cantaloupe melon that is so creamy, it feels like ice-cream. However, this “ice-cream” has salty tonalities mixed in as well. It’s the scent of miso paste: a fermented, nebulously bean-like, umami saltiness that is quite savory, almost brothy in an odd way. I realise that many of these descriptions might sound unappealing, but it’s really the only way to describe the miso’s umami-like quality and aroma here. For those of you who may be unfamiliar with the word “umami,” Wikipedia succinctly defines it as: “one of the five basic tastes (together with sweetness, sourness, bitterness, and saltiness). It has been described as brothy or meaty.” In Hana Hiraku, the note appears like a quiet, muted saltiness that has an even more muted subtext of brothy, vaguely beefy or bean-like earthiness buried within. On paper, it sounds like the most bizarre thing imaginable to pair with melon ice-cream and, yet, it somehow works. The subtlety of the note is one reason why, but another is that salty and sweet elements have often gone together. I should add, however, that the umami saltiness only appeared in a truly noticeable, substantial way in the opening when I applied a generous quantity of scent (several smears equal to roughly 2 and half sprays from a bottle) and, even then, it was short-lived in duration, perhaps 30 minutes at most. With a smaller fragrance application (roughly the equivalent of 2 tiny sprays), the salty-savory miso was merely a ghostly suggestion in the background that was noticeable only if I sniffed my arm up close, and even that didn’t last for long. Other elements are equally subtle. Buried within the melon are insubstantial flickers of lemon bergamot and lemony magnolia. Neither lasted more than a few minutes at most because the unquestionable focus of the opening is a cool, summery, light and sweet fruitiness that is liquidy fresh but also extremely creamy. I happen to love melon notes, even more when they skew towards the green honeydew variety as Hana Hiraku quickly does here, so I thought the opening was delightful. Hana Hiraku changes direction roughly 1.75 hours in when the melon ice-cream gives way to a floral bouquet dominated by magnolia. The flowers are creamy, no doubt thanks to the lingering effect of the melon, but they also feel as light as a feather. According to a review on The Scent of Man, Hana Hiraku is built around several different species of Japanese magnolia and, according to Ms. Osawa’s fragrance description on her website, special care was taken to use floral absolutes and essences as well. The result is not only one of the most authentic magnolia aromas I’ve encountered in perfumery, but also the very best. This is magnolia that is on a completely different planet than the wispy, completely anemic, practically indecipherable (and, in my opinion, synthetic-smelling “magnolia” that Frederic Malle featured in his Eau de Magnolia with its highfalutin’ claims of “head space” technology. This is a magnolia aroma that feels as real and as solid as if I were to touch the creamy petals of the flower in person. It’s truly beautiful. Its contours are shaded in with other elements, each chosen carefully for the way in which they can accentuate the magnolia’s innate characteristics without ever detracting attention from the star of the show. Lingering vestiges of melon exist merely to indirectly underscore the flower’s innate creaminess, but they’re quite elusive in their own right. Tiny wisps of a diaphanous, completely fresh, and occasionally liquidy floral greenness float all around, but they never translate or read as “tuberose.” Insubstantial, elusive, and brief flickers of honeyed sweetness and citrusy freshness appear every now and then to underscore those same parts in the magnolia. Hana Hiraku contains notes completely unrelated in scent to the magnolia, but most of them are so ephemeral that, to all intents and purposes, they might as well not exist. Once in a blue moon, I detect faint pops of rose, iris, honeyed jasmine, and something woody — each occurring at different times, each microscopic and elusive, appearing for mere instants before disappearing. The miso and/or soy reappears at this stage, but it feels even more insubstantial than before; it’s like a soft sigh that casts a breath of umami-style beef broth saltiness every now and then upon the creamy, lightly honeyed, fresh, citrusy magnolia petals. Again, I realise that some of you will be put off by the oddity of that description, but it actually works on my skin, no matter how unusual and difficult to describe it may be. According to the Scent of a Man post, Hana Hiraku is the first fragrance to ever include miso and soy sauce, but Ms. Osawa was careful to ensure it’s just a hint, and that care shows, so don’t think that you’re going to be wafting soy sauce at work. 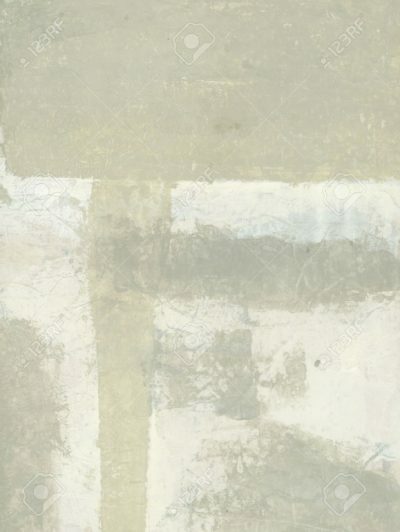 Like everything in Hana Hiraku and like so many of the notes in Satori, it’s merely a watercolour vapor. Roughly 3.5 hours in, Hana Hiraku changes course. The sandalwood rises from the base, adding a quiet spiciness and a woodier sort of creaminess to the floral bouquet. Soft breaths of cedar, chamomile, lemon, honeyed jasmine, and miso/soy saltiness lick the edges. The cumulative effect is a sort of “matte” effect, as Parfum Satori writes on its website, as though the magnolia were seen through a sepia-tinted matte filter created from woodier elements. 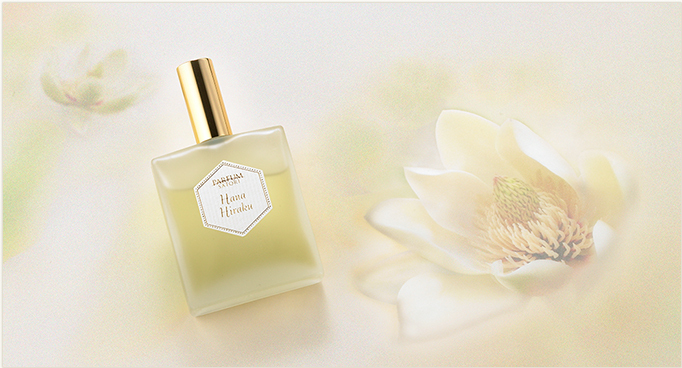 Hana Hiraku remains as a magnolia-sandalwood duet for about 60-75 minutes, then turns into a lemony, honeyed magnolia with only small slivers of soft, white woodiness buried within. Eventually, in its final hours, all that’s left is a simple citrusy sweetness on my skin. Hana Hiraku’s sillage was slightly stronger than Satori on my skin, but it had the same soft projection, and roughly similar longevity. With several generous smears equal to somewhere between 2 to 2.5 good sprays from a bottle, the fragrance opened with about 3 inches of projection and about 4-5 inches of sillage. It was a weightless, airy cloud but strong in scent up close. The sillage remained that way for about 2 hours, before slowly dropping. Hana Hiraku turned into a skin scent on me after 4 hours, but wasn’t difficult to detect up close if I put my nose on my skin until the end of the 6th hour. In total, it lasted just a hair over 7.25 hours. I really liked Hana Hiraku. It was not only interesting, original, and imaginative, but it was also fun, easy to wear, and smelled great. I wore it one day to lunch with my parents, and my mother did quite a head-turn upon smelling the magnolia heart. As she put it, “you know I don’t really like most modern fragrances, but that one is really good and has something about it.” It does. While I think Hana Hiraku will be too floral for most men, I can think of several male readers who would love this one passionately along with any female readers who love magnolia fragrances, creamy floral orientals, or airy, delicate, creamy fruity florals. Satori Iris Homme via Luckyscent. Luckyscent note list: Lemon, cardamom, orange flower, iris, violet, jasmine, amber, sandalwood, light musk. Iris Homme opens as a brisk, fresh, citrusy floral centered on cool, stony, very rooty iris coated in crisp, chilled lemon and the white pith of its inner rind. Framing them on all sides is a grassy green violet that smells like a mix of woody wild violets and a whole lot of citrusy, very peppery violet leaf. A few other elements follow suit, although they are muted, occasionally stay on the sidelines, or sometimes act as mere ghostly whispers. At first, there is cardamom, smelling aromatic, faintly earthy, and slightly woody. It is quickly overshadowed by a woody note that smells far more like crisp, aromatic green cedar and cedar wood shavings than the sandalwood listed in the notes. Roughly 10 minutes in, the cedary woodiness is joined by a woody orange that resembles petitgrain far, far more than it does any actual orange blossom or flower. Finishing things off is clean musk, a delicate touch at first, although it gradually grows in prominence. When taken as a whole, Iris Homme’s central bouquet after 10 minutes is primarily a woody rooty iris that is infused with brisk, chilled, cologne-style, lemony citrus and its white pith, then with lesser amounts of peppery violet leaf, aromatic cedar-like woodiness, aromatic citrus and petitgrain-style woodiness, a minute touch of violet leaf, and some white musk. The fragrance doesn’t change in any significant way beyond this during its first two hours, fluctuating only in the strength and prominence of its notes. Roughly 50 minutes in, peppery faux sandalwood joins the citrus and iris on center stage, the clean musk grows in strength, and the faint, heavily muted wisps of violet flower and spice depart for the distant background, virtually unnoticeable unless I really sniff my arm hard up close and concentrate. I feel as though I’m wearing a flanker to Dior Homme, except this is more muted, restrained, quieter, crisper, cooler, and unsweetened, so perhaps one of Prada‘s Infusion d’Iris fragrances mixed with MPG‘s Iris Bleu Gris might be a better comparison. Most of all, though, I’m continuously reminded of Terre d’Hermes. 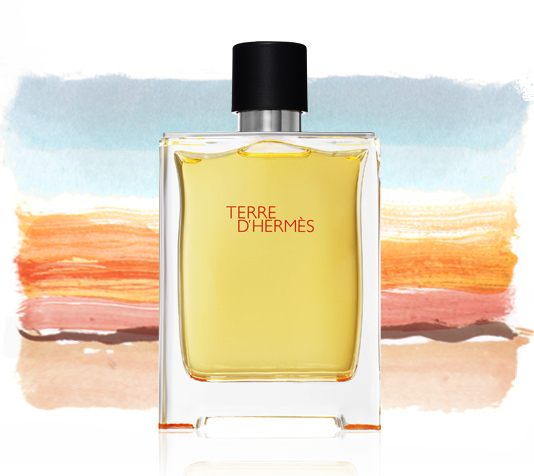 It’s not merely the way Iris Homme’s lemony white pith resembles Terre d’Hermes’ grapefruit note, but also the immense aromatic freshness, the cedar-like element, the pepperiness of the woods, and the airiness of the citrus-iris accord. There may be minimal spiciness in Satori’s Iris Homme but, on my skin, it bears major, major Ellena/Terre d’Hermes aesthetic vibes and similarities nonetheless. Like many Ellena creations, Iris Homme basically dissolves in structure and turns abstract as it develops. Roughly 1.5 hours into its development, the scent turns into a hazy floral woody musk centered on an amorphous, rather impressionistic rooty iris enveloped within a cloud of laundry detergent cleanness that has aromatic citrus freshness and generic white woods subsumed within. By the end of the third hour, Iris Homme is a simple aromatic, citrusy white musk cleanness with nebulous hints of a vaguely iris-like floralcy buried within. The latter grows increasingly elusive. In its final hours, all that’s left of Iris Homme is powdery laundry cleanness with a vague citrus freshness about it. Iris Homme’s longevity, sillage, and projection were greater than the two other Satori fragrances, but average when taken as a whole. The opening projection was about 3 inches, the scent trail at about 5-6 inches. Iris Homme turned into a skin scent after 3.25 hours. It lasted just under 10.5 hours, but I suspect that duration is due in large part to the way my skin holds onto any fragrance with a large amount of white musk. I’ll be blunt, I found Iris Homme extremely disappointing after the original, interesting, and creative touches of the other two fragrances. 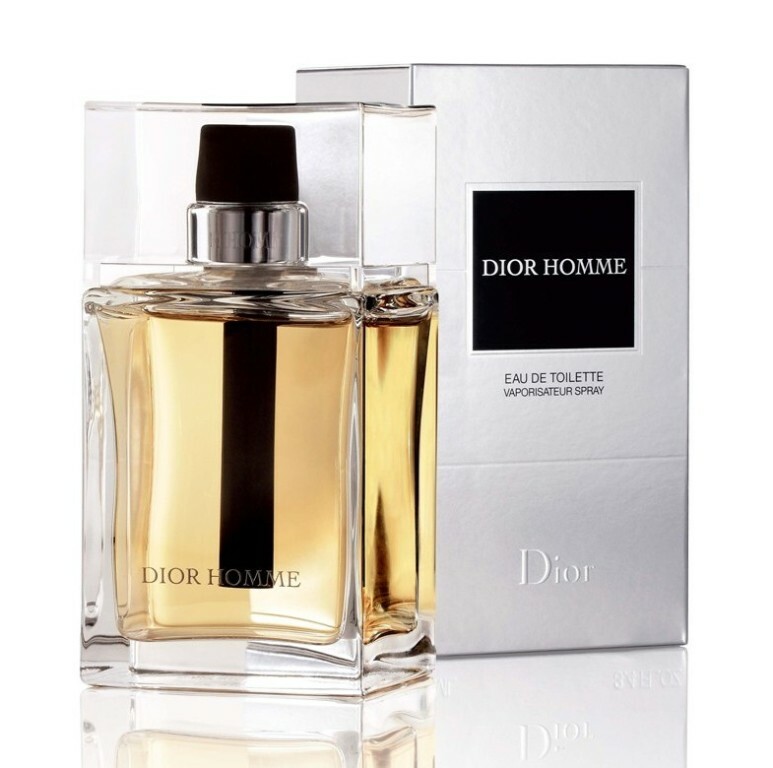 To me, it basically smells like a Dior Homme flanker if it had been constructed by Jean-Claude Ellena with his minimalist, impressionistic style and if it had a big slug of Terre d’Hermes’ aromatic freshness and crispness tossed in instead of any sweetness. The scent profile is not only immensely Western in its notes and feel, but it’s also a designer, not niche, aesthetic and it has been done boundless times before. Dior Homme EDT via Amazon. That does not change the fact, however, that the scent profile has been done before, repeatedly, and particularly within the designer genre that one can find in any mall or department store. And, with all due respect, I fail to understand how something can be a “masterpiece” if it replicates what’s been previously done by others numerous times before? After Ms. Osawa’s original, very Japanese, and very creative touches in the other two fragrances, I had anticipated smelling something more imaginative than a mash-up of Terre d’Hermes with one of Dior or Prada’s iris fragrances, particularly as Iris Homme costs more than any of them at $175 for a 50 ml bottle. I may be unimpressed, but men who love cool, crisp, bracingly fresh, discreet, and extremely clean iris woody musks are bound to love Satori’s Iris Homme, and they should definitely try it. I briefly tried Wasabon and was disappointed here as well. According to Luckyscent, Wasabon’s notes are: Lemon, muscat, mimosa, muguet, almond, sugar, honey, vanilla, iris, guaiacwood. Reading that list, I anticipated a different fragrance than what appeared on my skin. Wasabon opens on me smelling of sugared white musk, white sugar, vanilla sugar, and cotton (like an actual cotton t-shirt pulled straight from the drier), flecked by tiny specks of clean woody musk, lemon, and something a little bit spicy (almost like fresh ginger but not quite). All of this is then suffused within a powerful cloud of laundry cleanness. From afar, Wasabon smelled entirely like a fresh cotton t-shirt, sugared cotton candy, actual granulated white sugar, and Bounce laundry dryer sheets with a whisper of abstract woodiness lurking deep below. I really don’t know what I hated more: the immense sugariness or the immense laundry cleanness. The combination of the two together sent me reeling, and I’m not being hyperbolic; I physically recoiled and jerked back from my arm upon my first sniff. I tried to last as long as I could, but I scrubbed Wasabon off after 30 minutes. You might be surprised to learn that Wasabon’s scent profile is as much Japanese as it is Western. There are two reasons why. First, according to The Scent of Man, “Wasanbon is a type of traditional Japanese sweets that usually comes in a light golden colour setting, whose sugar granules which are made from sugarcane plants are as fine as icing sugar.” Second, the Japanese seem to love smelling of laundry cleanness. In my piece on Japanese fragrance culture, markets, and sales, you’ll see that many people prefer the discreet scented invisibility and aroma of fabric softeners in lieu of actual perfume. Sure, I’m not Japanese or in Japan, but there are actual Japanese statistics, figures, and articles referenced in my piece, so I don’t think it’s purely my outsider’s “Western” perception of the taste preferences of a certain segment of the market. Yet, there is no doubt that their taste for clean, white musk with a laundry freshness also mirrors Western tastes when combined with gourmand elements and sugared vanilla. I kept thinking of Prada’s Candy line, specifically the one with an emphasis on cotton and clean musk, Prada Candy Kiss. If Candy Kiss and Aquolina‘s Pink Sugar had a love child, the result would probably be a lot like Wasabon. In all honesty, until I read that the fragrance referenced Japanese sweets by the same name, I thought it was a deliberate attempt to replicate Western fragrances and the fresh, clean, cloyingly saccharine gourmand style that they’ve made so ubiquitous, popular, and cheap. They do sell well, after all. 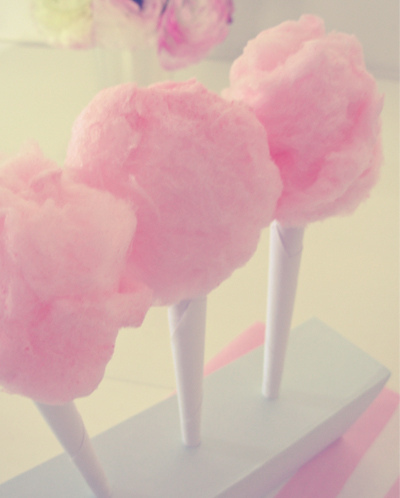 Pink candy floss or cotton candy. Source: Favim.com. Regardless of the fragrance’s actual cultural inspiration or causation, I had hoped for something more interesting from Wasabon than sugar frosted vanilla cotton and sugar fluff covered in Bounce fabric softener dryer sheets. Who knows, maybe it would have eventually developed into something vaguely interesting if I had left it on, but judging by what I’ve read about Wasabon on Fragrantica where sugar or sugared candy references abound, I don’t think so. 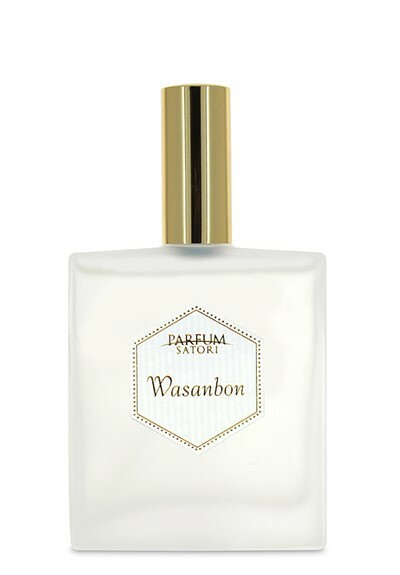 Nevertheless, if you’re a fan of immensely sugary, girlie fragrances centered on sugary musk cleanness, cotton candy, and cotton taken straight out of the dryer, then Wasabon has your name all over its bottle. As you’ve gathered, the fragrances were a mixed bag for me. I found the two strongly Japanese or “oriental” style fragrances to be interesting, different, highly original (salty, umami miso and melon! ), and a happy surprise. They also exemplified a real technical mastery. Plus, they had some really knock-out elements to them. I absolutely loved the Kodo-incense-Earl Grey tea part of Satori, but I was also impressed with Hana Hiraku’s magnolia heart because its olfactory authenticity, depth, and quality are rare in Western perfumery. Since I’m one of those weirdos who also love melon notes, I’ve thought about buying a bottle for myself but, between high vet bills and discreet/soft fragrances not being my personal style, I’ve held back for now. 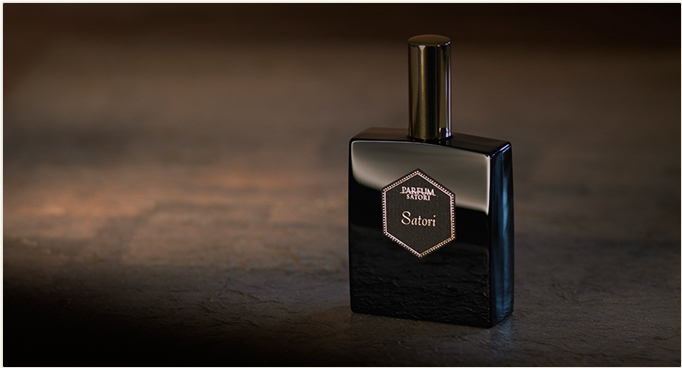 The Satori fragrances with a more Western-style scent profile were a slightly different story for me. There are simply too many things like them here already, particularly in mainstream perfumery. They don’t stand out, in my opinion, and they aren’t interesting enough for the niche price. Out of the two, however, I think Iris Homme is bound to win the most fans. I can see a number of male readers enjoying that one. With regard to Wasabon, it will undoubtedly appeal to a female gourmand lover who is either more… youthful (I’m trying very hard not to say “prepubescent”) or who adores super-sweet cleanness and fluffy pink candy notes. Whether or not they will be inspired to fork over $175/€179 for a mere 50 ml of a scent profile that is easily found elsewhere for a significantly lower price is a different matter entirely. All in all, I found it really interesting to explore Japanese niche perfumery. Westerners only really know Shiseido, but I don’t think that can really be classified as “niche” given the size of the company and the fact that its roots lie in cosmetics, not perfumery. It is basically more of a designer brand, similar to something like Tom Ford perhaps. Parfum Satori, in contrast, is a truly niche perfume house. When it employs Japanese olfactory elements to go along with its Japanese aesthetic, the results are fascinating and well worth exploring. I hope a few of you will do so. Disclosure: My samples were kindly provided by Luckyscent. That did not impact this review. I do not do paid reviews, and my opinions are my own. This entry was posted in Floral Oriental, Floral Woody Musk, Gourmand fragrances, Orientals, Oud Fragrances, Parfum Satori, Perfume Review, Woody Fragrances and tagged Best magnolia fragrances, Dior Homme style iris fragrances, Earl Grey tea notes in perfumery, Hana Hiraku fragrance review, Iris Homme, Iris woody musks, Japanese niche fragrance brands, Japanese niche perfumery, Kodo Incense ceremony, Kodo Incense notes in perfumery, magnolia fragrances, Miso in perfumery, Oud sandalwood fragrances, Parfum Satori, Parfum Satori reviews, Sado Japanese Tea Ceremony, Satori fragrance review, Satori Hana Hiraku, Satori Iris Homme review, Satori Osawa fragrances, Satori Satori review, Satori Wasabon, Shoyu soy sauce in perfumery, Wasabon fragrance, Wasabon fragrance review by Kafkaesque. Bookmark the permalink. I’m so happy to read about Hana Hiraku! I’ve been searching for a Japanese magnolia scent, as opposed to the commonly used Southern magnolia grandiflora, and this may be it. Like you, I was quite disappointed with FM’s Eau de Magnolia. Must order a sample of Hana Hiraku asap. Thank you! Yayyy for you possibly finding the magnolia fragrance that you’ve been searching for, and fingers crossed that Hana Hiraku ends up being a new love for you. I hope your location permits you to get a sample easily and quickly. I really wish the line were sold in more places in Europe, Oceania, and N. America, but at least Luckyscent ships worldwide. I’m in the US so should be able to order a sample! I love your reviews, btw, and have learned so much from them. You should try Di Ser, fantastic! Thank you for the tip. I will keep it in mind if the fragrance ever comes to America. 🙂 For now, there are only these 4 available here. Ah, thank you for the clarification. Even in bref these are such insightful reviews. Thank you! I tried Satori and Iris Homme a while ago. I enjoyed Satori a lot, really lovely, but somewhat sheer. I fulfill my incense cravings with Sultan Pasha Attars at the moment (Those are more to my taste). Iris Homme i tried from a tiny dabber vial and I suspect it impacted the performance hugely (not in a good way). I was in love with the first 45 minutes (the cardamom – iris combo is gorgeous and thankfully my skin amped up the cardemom). Too bad, it could have been a nice ‘office friendly’ scent, but with a development and performance like this, at this price point….. Still would love to try other iris-cardamom combos… I really like the first 30 minutes of Dior Homme but i get no cardamom, and my skin amps up all the sweetness in it to an annoying level. Thank you Kafkaesque. I love Earl Grey tea, so I’ll give Satori a try; hopefully I’ll get enough sillage and longevity to keep me company. Hana Hiraku also sounds like something I would like. The only fragrance I have with a magnolia note listed is Tom Ford’s Venetian Bergamot, but it’s a favorite of mine. Iris and overly sweet really don’t work for me, so I’ll steer clear of the other two. I stumbled across your blog before my trip to Tokyo and decided to go to Parfum Satori as a result. It’s a shame the scents aren’t more available in the US, since there’s quite a few scents that aren’t sold here, like Oribe—a pure green tea—that was so green and unique. Thanks for sharing!